Member of the Diplomatic Council. 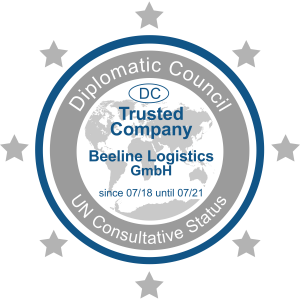 With its certification, Beeline Logistics GmbH has been honored as a trusted company and acts among others in a consulting role (UN Consultative Status) and as a logistics service provider for UN projects worldwide. Maintaining and reviewing confidentially filed service contracts/ NVOCCs Service Arrangements to guard against detrimental effects to shipping. An campaign for a sustainable European Union. 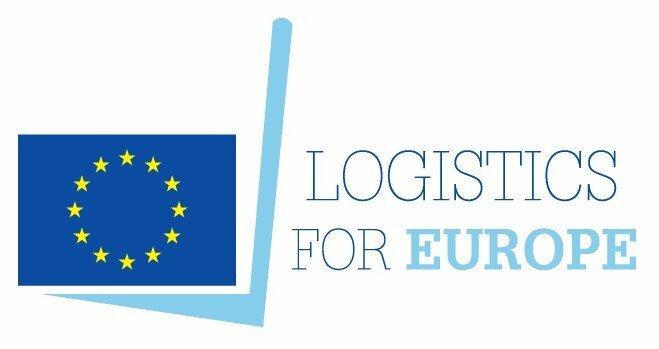 „Logistics for Europe“ is an initiative of the German Association of Forwarding & Logistics DSLV (Deutscher Speditions- und Logistikverband) and their members for an United Europe. Member LBS – Landesverband Bayerischer Spediteure e.V.